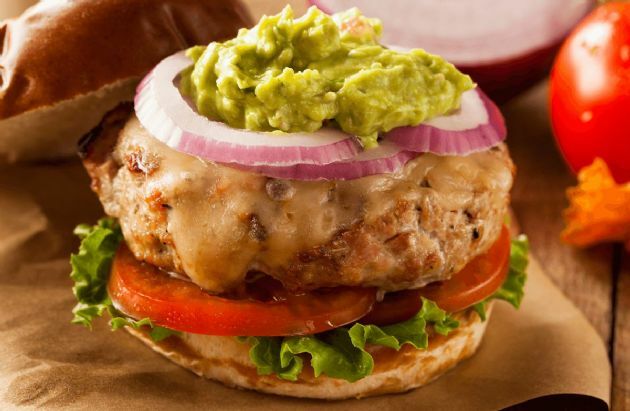 Quick, easy and tasty turkey burgers with a kick. Quick, easy and tasty turkey burgers with a kick. Add your favorite toppings and opt for an open-faced burger to cut out some carbs! Spray a frying pan with cooking spray and cook over medium heat until cooked thoroughly (about 10 minutes), flipping once about half-way through.